Figgoscope-curates brings together exclusive products from Portugal to Australia. We look at brands and makers that remain true to their roots, whilst offering a product that is versatile and contemporary. This Burel Factory stool with high-density cushion and lined with three-dimensional stitch is a visionary expression of today's interior textiles. The padding surface of the seat is “sculpted” into a bubbling landscape inspired by organic shapes and expressed with bold simplicity. 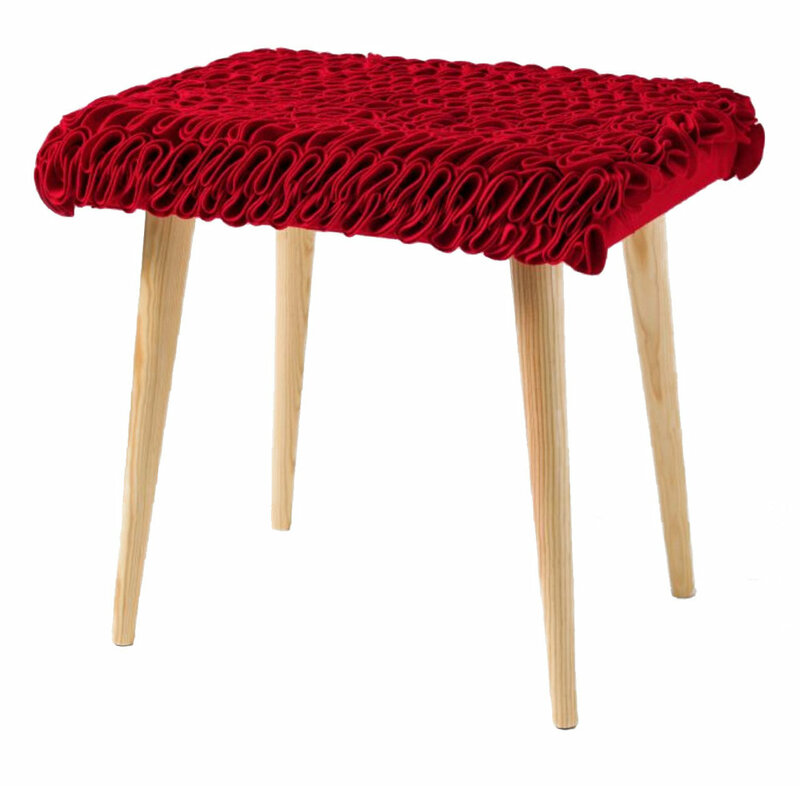 A sculptural approach to home décor, this stool has an appealing tactile quality that makes it truly stand out. The luxurious natural fabric choice for these stool creates a soft and durable surface perfect for your home. Best of all, Burel Factory fabric holds its shape, making it possible to turn any space accent into a striking multidimensional accessory.